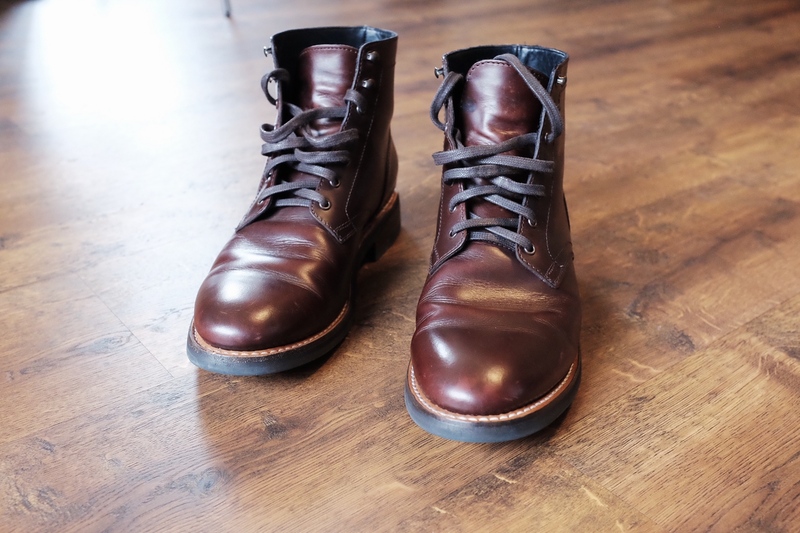 I’ve been wearing the President boots now for a couple of months, not long enough for a full review, but enough to give you some idea of what they offer. I went on the search for a pair of boots to wear into the office everyday, and was lead down the dizzying array of boot offerings. Ultimately I settled on a pair of Thursday Boot Company ‘President’ boots. We started Thursday to offer an alternative: ridiculously high quality footwear at honest prices that could handle our busy lives in New York City. I’d say they have done just that with the price range for all their shoes being $149 – $265. And for a a shoe company those are not only low prices, but a very tight price range. 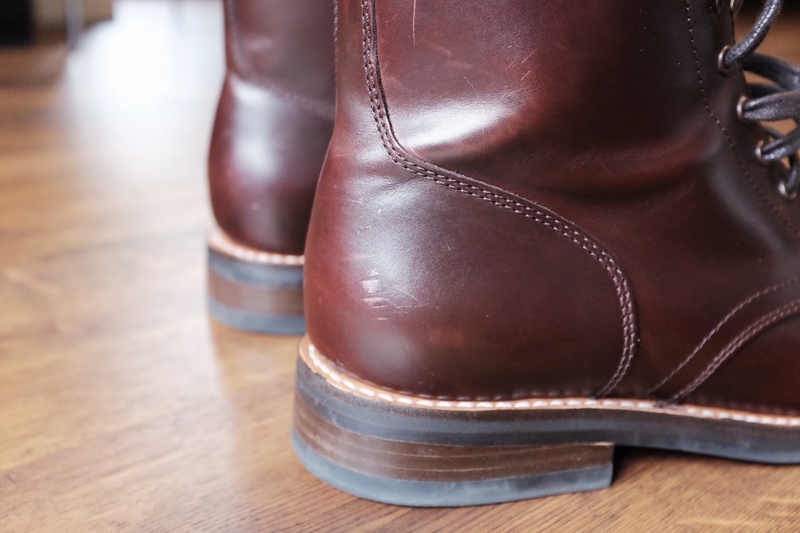 The boots I am reviewing here are $199 and offer a Goodyear welt construction — which means you can resolve them when the time comes. They are really young so the warranty doesn’t mean much yet. And their youth also means there’s not any way to know how these will be a decade from now. 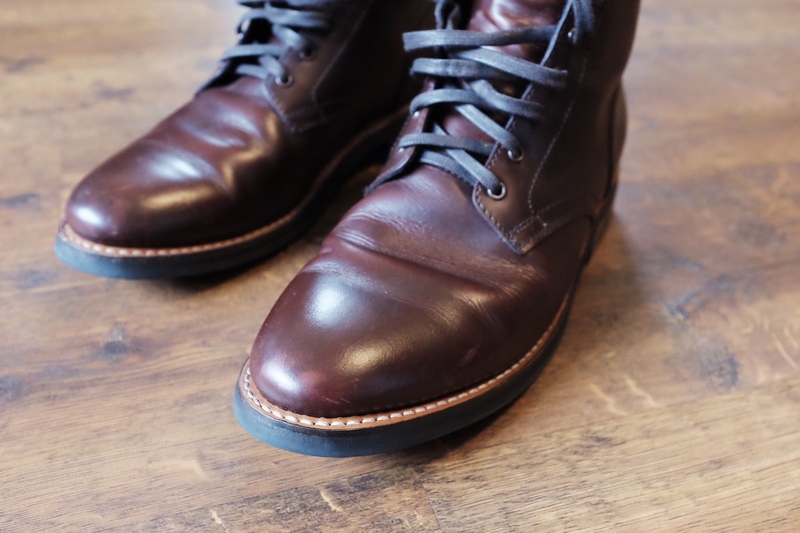 At $200ish dollars their boots are not an insane value, which makes them compete with other established low cost offerings. If you search around about this company you are going to hear negative things. These negative things really are not fair, as they mostly are complaining about Thursday differing from the promise of the Kickstarter campaign, and not on the actual quality of the boot. This is common with projects like this. But a few years on now, the consensus is: really solid boots at very fair pricing, with good customer service and longevity. Or put another way, people have been wearing these boots since they came out, and they are still going strong. At $200, that’s a pretty sweet deal. 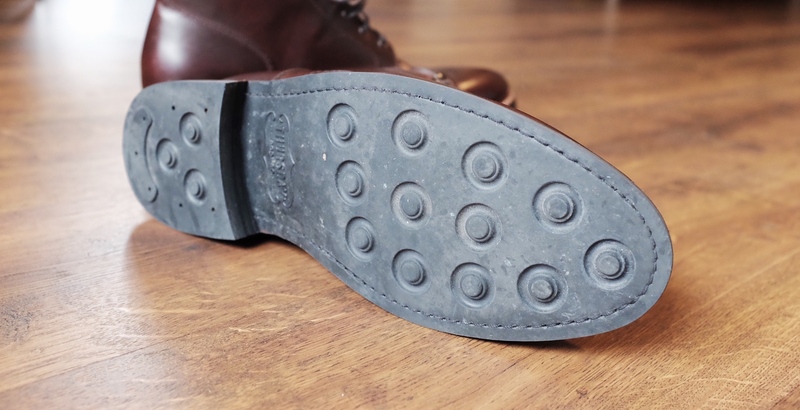 Even better, all of their shoes and boots are designed to be resoled. Thursday is of course one of those new companies that exist only online. You buy them online and they offer guidance on what you should buy as it relates to sizing and fit. I ordered the President in Brown, size 11. However, the size calculator on the site encouraged me to order size 10.5, I have found the 11s fit me perfectly. I decided to go against the sizing as every shoe I have bought in a 10.5 has been proven to be too small. (Steve had the opposite happen, where it recommended a size which ended up too large.) I did worry these would initially fit fine, but stretch out and be too large. Those fears were unfounded and the boots have fit great the entire time. You can return/exchange your boots for free, assuming they show no visible wear. I hate that type of caveat as it is extremely subjective. So I would say putting the boots on, lacing them up, and walking across the room is about the limit before you can’t return them. 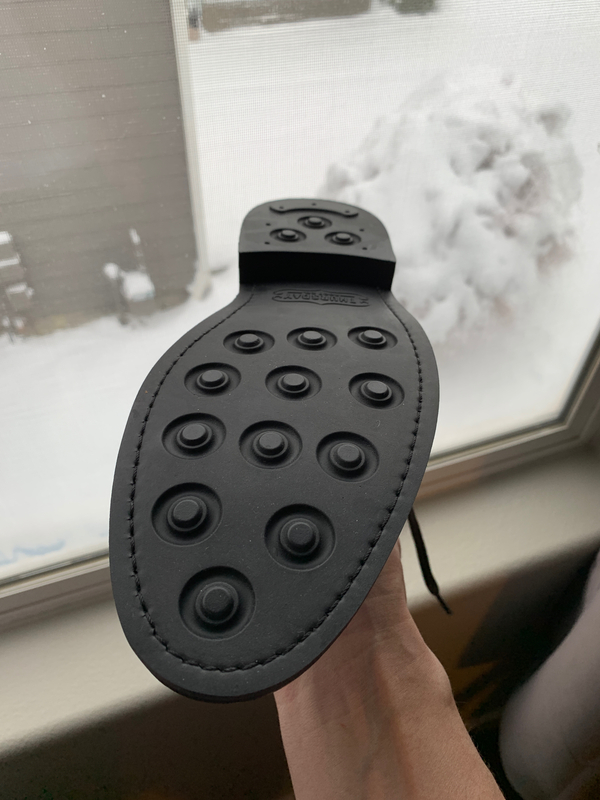 Luckily I guessed correct, and I would say that if you are new to leather boots, get something close to your normal dress shoe size, and order two pairs if you are on the fence about the sizing. It will save you a ton of hassle. Thursday offers a lot of classic styles, and the President is as simple as they get. From the moment I opened the box, and still today, I love the style of these boots. 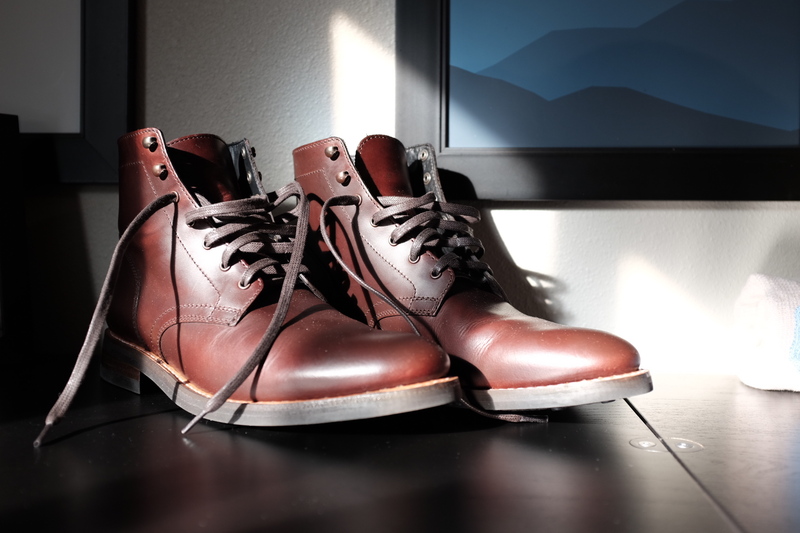 The designers hit the sweet spot with these boots, and the brown is a rich a vibrant dark brown that should age quite nicely. Out of the box these boots were very comfortable, so much so I had assumed I was doing something wrong. I broke them in by wearing them while working at home (I stand to work) wearing them for 4 hours the first day, waiting a full day, and then wearing them for another 8 hour day. After that I put them on for a work trip where I wore them for four days straight (not recommended, but I hate traveling with more than one pair of shoes). Not once did my foot get fatigued, or have any hotspots. These boots broke in quickly and were comfortable the entire time. They have only gotten more comfortable since then, and I am very impressed with the comfort. On a recent trip I had to walk through a bad snow storm which left slush and deicing agents everywhere. The boots held up impressively well, with the deicing agents used wiping off with a damp towel. They have weathered many flights, my kids, and everything else. They have the light scuffing you would expect to find on the leather at this point, and I have yet to try and remove those. Overall, they are holding up well, but it is certainly too early to tell. I am impressed, beyond what I expected. There’s a lot of value in these boots — not only from a price perspective but from a classic design, Goodyear welt, and comfort. I expected my feet to hurt after a full work week of wearing these boots everyday, walking all around, but not only did my feet not hurt, but they weren’t even fatigued. I haven’t had the boots long enough to form a a definitive position on them, nor have I had them long enough to sort out what (if any) gotchas may lie ahead — I will say I am planning on my next shoe purchase being another Thursday Boot.